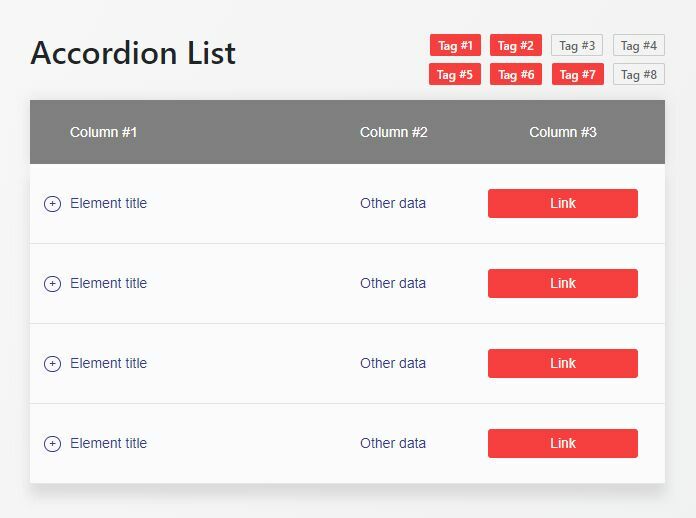 A jQuery based accordion-style data list/data grid that allows the user to filter list/grid items using anchor links. 1. Group your items using CSS classes and then insert them together with the filter links into the data list/grid. 3. That's it. Customize the filterable accordion using your own CSS. This awesome jQuery plugin is developed by AndKorbiel. For more Advanced Usages, please check the demo page or visit the official website.